A FREE Papercrafting magazine? Um, yes please. 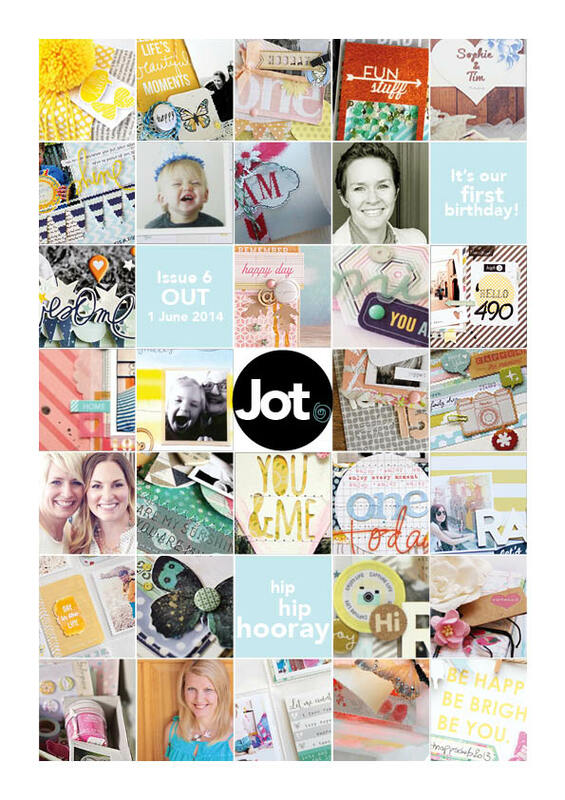 I was tickled today to stumble across Jot magazine. It’s an Australia based e-magazine and website for the paper crafter. I opened up their birthday issue, Issue 6, on my iPhone and have been flipping through the pages as I have time. This issue features one of my idols, Becky Higgins, the creator of Project Life. Swoon. One thing I love about e-magazines is when I see a project I want to CASE (Copy And Share Everything-also known as ‘scrap lifting’) I just take a screen shot as I’m reading the issue on my phone. I later will move those photos into an album I have stored in my iCloud. I have one album for Project Life ideas, another for greeting cards, you get the idea. When I’m working and stumped for an idea, I’ll just pick up my phone and browse through ideas. I’m all about inspiration and sharing ideas, so I encourage you to check out their website. I’m excited to check out their social media sites and maybe participate in one of their challenges soon. The only “problem” (and it’s not really fair to call it that) I’ve encountered so far is that the site is based in Australia so some of the products and shops they link up are not available to me in the United States. What are your favorite online sources of inspiration?